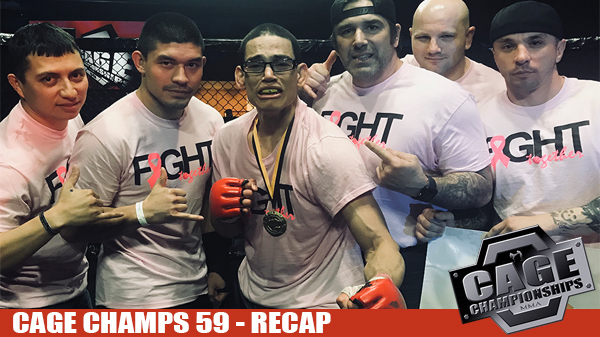 While most of the fighters were short on experience, there was no shortage of action in the cage at the Big Eagles Hall in Sullivan for Cage Championships 59. A large, and energetic crowd were on their feet more often than not through the 11 amateur MMA and kickboxing bouts. Earning a bit of redemption since his last trip to Sullivan, Khris "Gonzo" Gonzalez evened up his record picking up a win on Saturday night. Gonzales took on Joseph Estrada out of the American Pit Fighters gym in Iowa and was part of a large group of Iowans fighting on the card. When the action got started, it was a fairly even contest on the feet, but every time Gonzalez was able to get Estrada to put his back to the cage, Gonzalez instinctively went for the low double. Working from the top for most of the first, Gonzalez put heavy pressure on his opponent. The second round saw more of the same as Gonzalez once again landed a takedown against the cage, where he would eventually get the back and finish with a rear naked choke. It was the first MMA win for Gonzalez at Cage Championships representing the Combat Xtreme MMA gym in Waynesville,MO. In the co-main event, Orlando Sanders took a big step up in competition when he took on Nathan Stearns one of St. Louis' top amateur prospects. Sanders was cool under pressure and dominated the fight with his exceptional grappling, scoring takedowns and controlling the action from the mount. With only a small slip up - late in the second round where Sanders allowed Stearns to escape and take his back - this fight was all Sanders who cruised through three rounds. Late in the third and well ahead on the scorecards, Sanders dove for the back of Stearns, causing both to roll onto the mat, Sanders locked in the rear naked choke just as the 10-second warning went off, getting the tap just seconds before the end of the fight. In only his third amateur fight, Sanders out of Mike Rethmeyer's BJJ Lifestyle Academy has shown to be a legit prospect, and other welterweights in the area should take note. Highly-touted Iowa prospect Richard Pence took on late replacement Steve Barbee in a flyweight match-up. After a relatively even first round, a dislocated shoulder from Barbee forced the bout to be called a no contest. Defiance MMA's Evan Whited made quick work of opponent Ryan Schatz. Whited dropped him early and never let up, punching out a TKO in only 50 seconds of the first round. Whited looks like he has the skills, and need a strong test in whomever he fights next. A schedule bout with Clayton Whaley was one of two bouts that fell through just an hour before the first bell when Whaley's opponent and another fighter disappeared from the venue. In arguably the best fight of the night, Sunni Shemwell took on Lacie Brayton in the evening's only women's bout. Shemwell ignored her coaches instructions to take the fight to the ground and instead turned the fight with Hahn MMA's Brayton into a three-round brawl. The two traded punches in high volumes throughout the nine-minute bout, with action only slowing a bit in the second. When the cards read it was Shemwell picking up the win by Split decision winning 29-28, 28-29, and 30-27 on the scorecards. 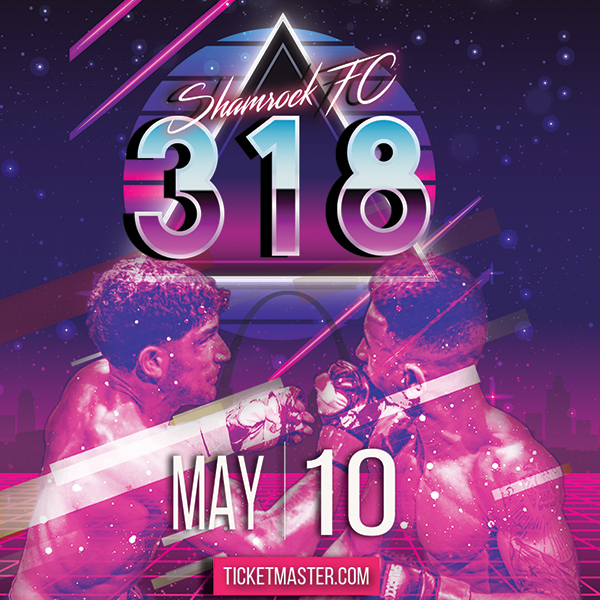 In amateur heavyweight action, two fighters making their MMA debut, it was the "Codiac" Cody Knapp winning by TKO over a very green Tony Banderman who had plenty of fight in him, but was ultimately DQ'd after repeated rules infractions. In K1 action, Terry Copling won by doctor stoppage after his opponent Chris Brooks could not continue between rounds with an apparent arm injury. The Hit Squad's John Sermento won via verbal submission late in the second round over a very wild but scrappy Dillon Comia. Sermento was calm and marched into Comia who was extremely chaotic in his fighting style. Both fighters were making their MMA debuts. Tyler Horton scored a first-round KO in just 41 seconds in a K1 match. Lucas Bollinger outpointed AJ Johnson in a K1 match-up that had plenty of action, and Draydin Woodson kicked things off with a victory over Logan Vernon in the night's opening bout.